Porcupine ‘Y53’ - South of Panmunjom, Korea, 27 June 1952. ‘Wireless Communications Tank’ (included communication with Naval Vessels, aircraft, infantry units, and artillery batteries). 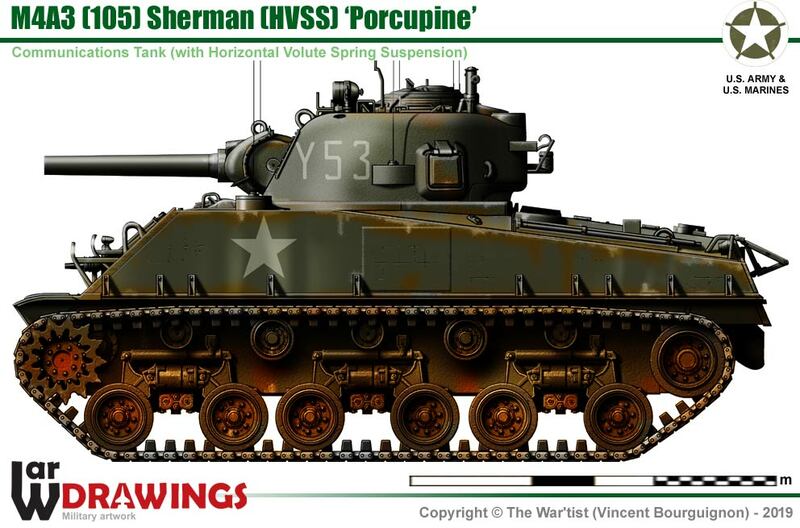 All of the Porcupines had dummy guns in an effort to look like regular gun tanks... but only the breech and other internal components were removed. The actual barrel of the gun remained intact and was fixed in place, either permanently resting in the travel-lock or rigidly facing forwards. The extra internal space was used for installing map tables and additional radios.